Crossboy National School is situated in the townland of Crossboy in the parish of Killerry near Lough Gill on the Sligo/Leitrim border. I passed this school house by chance and managed to take a few snaps before the rain came down. The building comprises a detached L-plan (extended to the rear from the original building at possibly a later date) single-storey structure located at the Crossboy junction. Much of the external surface of the building is overgrown with ivy and no name/date plaque could be found. Drawing on a comparison with other school houses of similar design, a late-19th/early-20th century construction date for this building is suggested here. There are two entrances to the front of the school house, and two corresponding gateways in the boundary wall with stepped approaches to the building – like many of the school houses of this date, these are probably segregated entrances for boys and girls. Internally, the building comprises two classrooms separated by a partition wall. At the time of my visit the later extension was inaccessible. ‘Killerry, a parish in the barony of Tirerril, county of Sligo and province of Connaught, four miles south west from Dromahaire on the road from that place to Collooney and on Lough Gill; contains 2,969 inhabitants. It comprises 9,135 statute acres, as applotted under the Tithe Act. The land is of good quality, principally under tillage and there is some bog and excellent limestone. Fairs are held at Ballintogher on January 22nd, June 8th, July 28th, October 17th and December 8th; and a manorial court is held there occasionally. Oldcastle, the seat of Earl Loftus Neynoe, Esq., was erected on the site of the old castle of Kingsfort; near it is a strong chalybeate spa. It is a vicarage in the diocese of Ardagh, united to that of Killenumery, the rectory here is impropriate in M. Baker Esq. The tithes amount to £96.18.6, of which one third is payable to the impropriate or, and two thirds to the vicar. The church is a plain building erected in 1715. 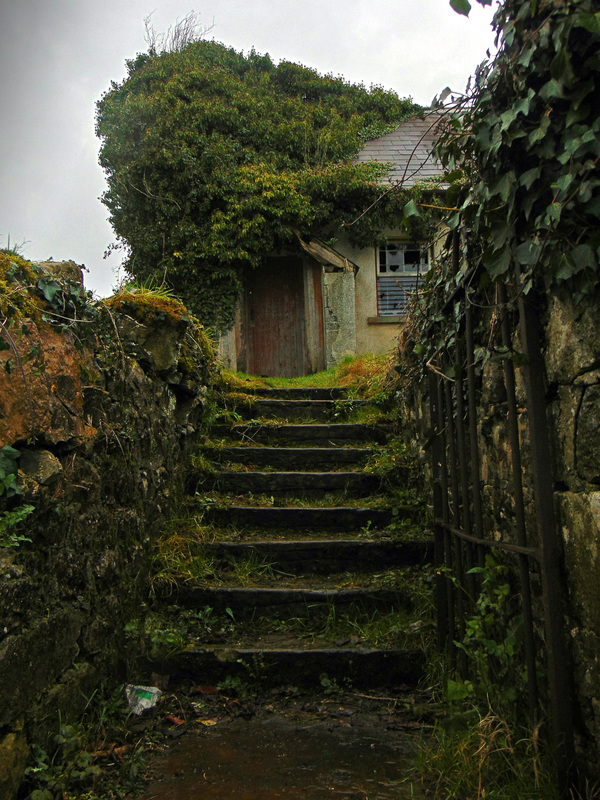 In the Roman Catholic division it forms part of the district of Killenumery and has a chapel at Ballintobber. About 140 children are educated in two public schools, and 110 children in two private schools. There are some remains of the old church of Killerry with a large burial ground and of an ancient castle at Drumcondra’ (Lewis 1837, 25). 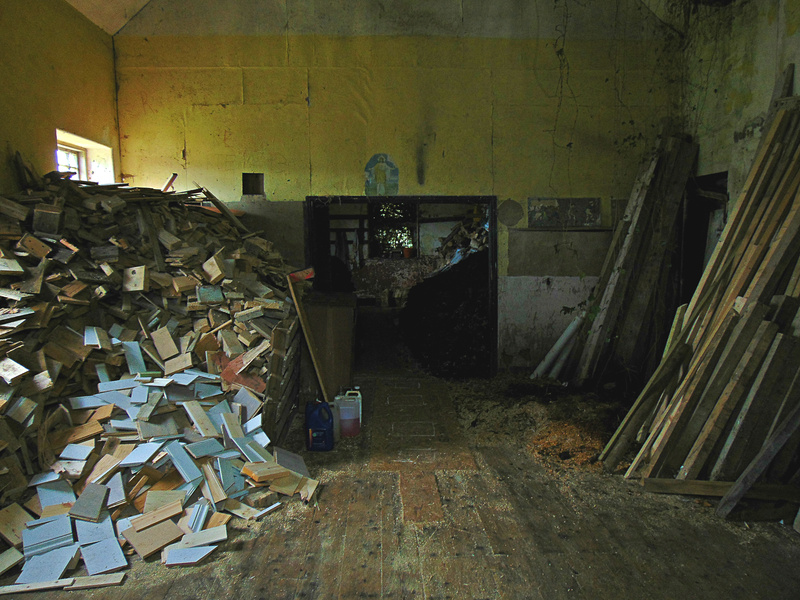 Though it is in a relatively good state of preservation, the school house is now used as a shed. Lewis, S. 1837 A topographical dictionary of Ireland. Volume 1. London: S. Lewis & Co. I am cataloguing photographs my mother (now 96) took during travels to Ireland in 1994. 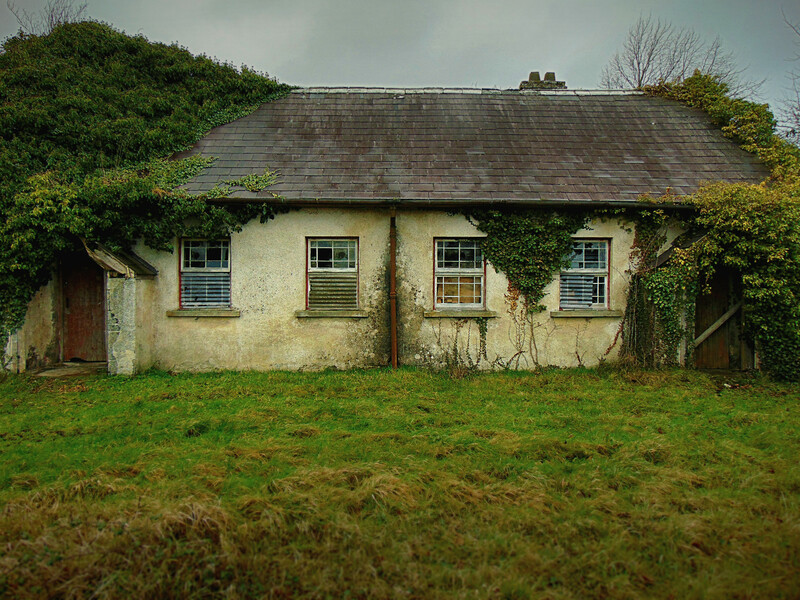 There is a photo of the Crossboy School House, with the commentary in her diary: Crossboy School where the McBriens went to school. My grandmother, Lizzie Kate McBrien was born in Dromahair on 4/2/1886 – the eldest of six (?) children. 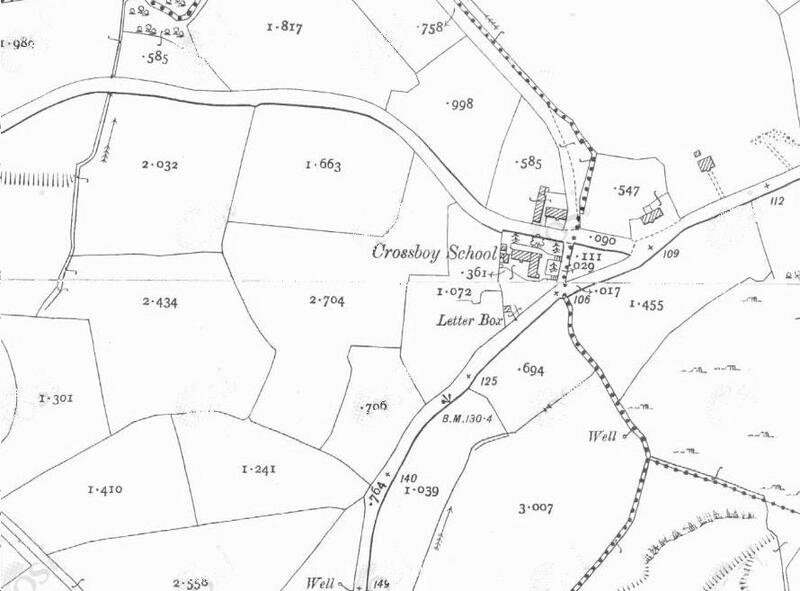 I am interested to confirm if this is where my grandmother and her siblings went to school. Can you suggest how I could trace this information. Hi Fran, it sounds like that photo already confirms it for you. There are occasional school role-books surviving and deposited at the national archives. There’s a slim chance that you’re grandmother may be recorded there. My Grandad, Charles McMorrow was the head master and my granny Mary Murray was a teacher in this school (where they met). My Dad , his Brothers and his sister and several cousins all went to this school. I have some pictures of some of the school role books…. Hi Colm. Thanks for your comment and for checking out the blog. I may get back to you in the weeks after Christmas about this. If possible, could you send me your email address via the contact page?